We offer room rentals for events that will host from 4 to 400. 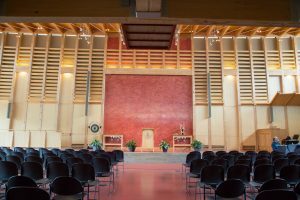 Whether you are planning a wedding, concert, family gathering, public lecture, or a simple meeting or workshop, we can offer a venue that meets your needs. 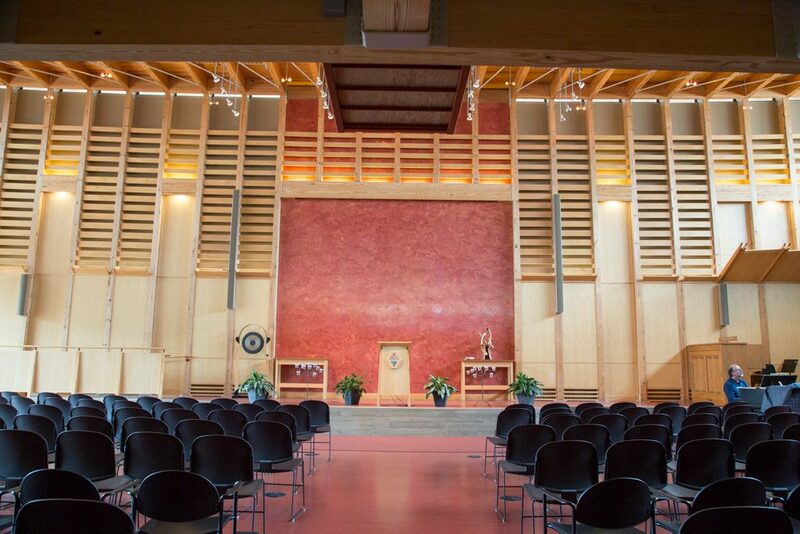 Our rooms provide a variety of options, and the Meeting House is surrounded by a lawn and prairie, which provides a picturesque backdrop for your event. Society members and non-profit (501c3) organizations that share our values receive a 50% discount. Members should note that this discount applies only to private events, not those of organizations to which our members belong. 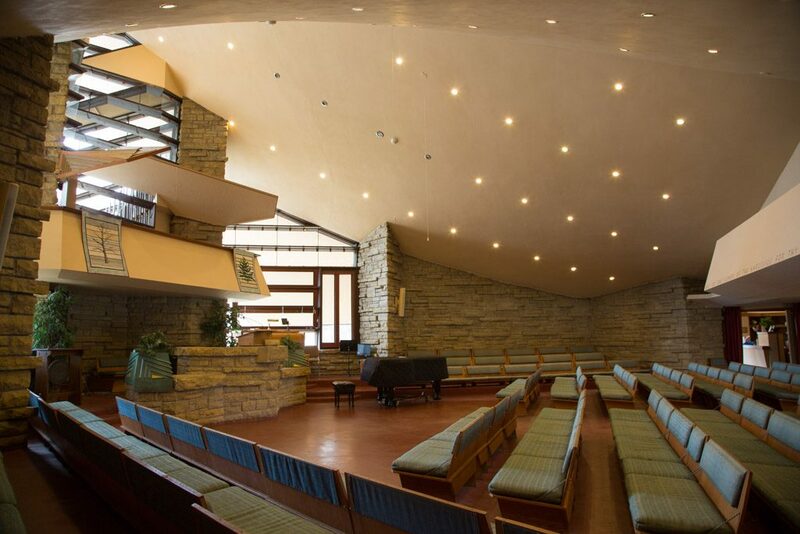 Designed by Frank Lloyd Wright in 1946, this historic space provides the perfect setting for weddings, memorials, lectures, and concerts. 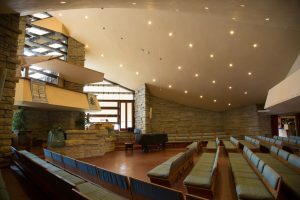 Part of our 2008 environmentally sustainable addition, the Atrium Auditorium features two levels of seating and a floor-to-ceiling glass window. 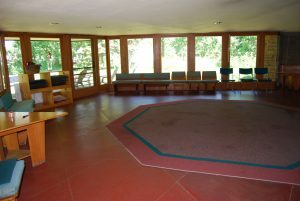 This space lends itself to larger events, musical performances, and weddings. 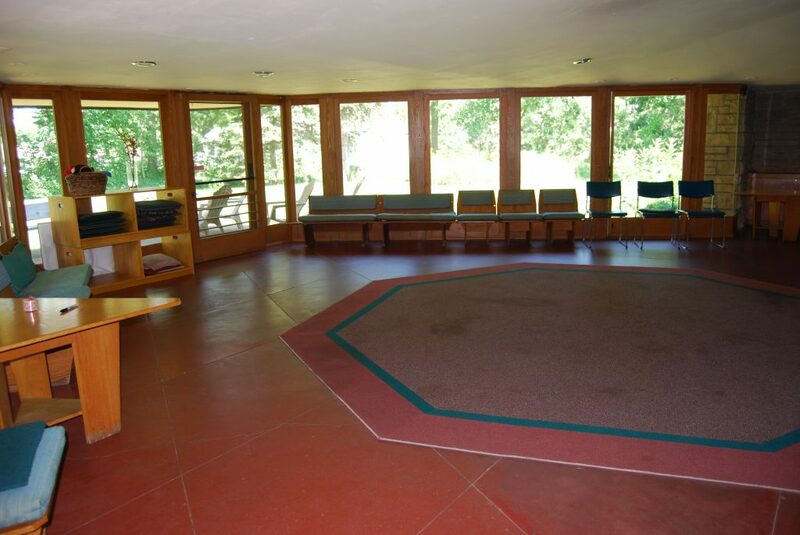 This secluded room is perfect for meetings, small weddings, and family events. Glass doors open to a secluded garden and prairie.